Holy Scripture provides us with a prayer book; with and in Christ we pray the psalms, confident that we will be heard. The Psalms by Dietrich Bonhoeffer was published by SLG in September 1982 and is our 9482nd best seller. The ISBN for The Psalms is 9780728300927. Be the first to review The Psalms! Got a question? No problem! Just click here to ask us about The Psalms. Is this book a commentary on the Psalms? 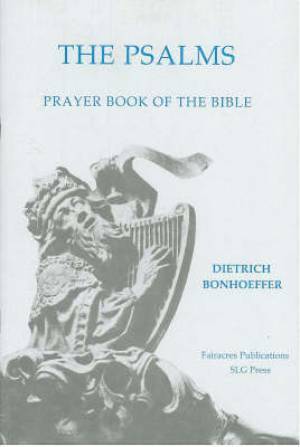 A:This title contains Dietrich Bonhoeffer's own personal thoughts and observations on the Psalms, and is highly recommended as a devotional aid to prayer life.